Great coffee. Great equipment. Great espresso recipe. Great water. What more do you need to create the perfect espresso? Tamping isn’t as simple as pressing your tamper into your coffee. Fortunately, it’s not too difficult either. Watch today’s video guide for step-by-step instructions from the experts. An espresso is extracted by pushing water at high pressure and great speed through ground coffee. This means that if the coffee is not evenly ground and distributed – if there are clumps or some grinds are smaller than others – you’ll get channeling. Water always takes the route with least resistance, so it will ignore those clumpy sections and go straight for the areas with more air. The result? Some of your coffee will be under-extracted (sour) and some will be over-extracted (bitter and ashy). Fortunately, tamping helps us to keep our coffee flat, compacted, and evenly distributed. So let’s look at how to do it. Tamping will be at its most effective if the coffee grounds are evenly distributed beforehand. In fact, Scott Rao says that “the most important skill a barista can have is to distribute the grounds evenly before tamping”. In this quick clip he breaks down how best to do this. Spoiler alert: no fingers! In this video from Seattle Coffee Gear, Joe takes a comprehensive look at the act of tamping. Watch to discover tips ranging from choosing the best type of tamper to the amount of force required, and your body posture to polishing. Learned something new? Let us know how these tips work for you! Specialty Coffee: Why Do Direct Relationships Matter? 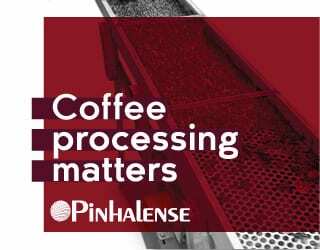 Roaster Basics VIDEO: Why Does Green Bean Moisture Matter?